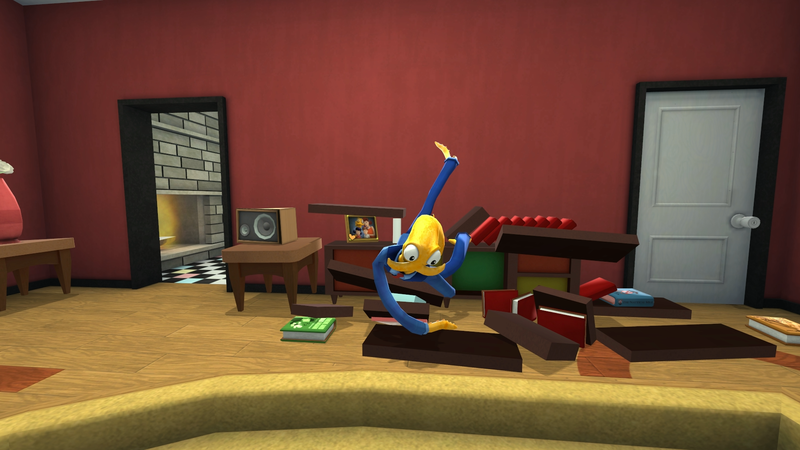 Octodad: Dadliest Catch* is a hilarious and heartwarming game with quite possibly the most addictive theme-song known to man. Dadliest Catch has a unique appeal that immediately draws you in. 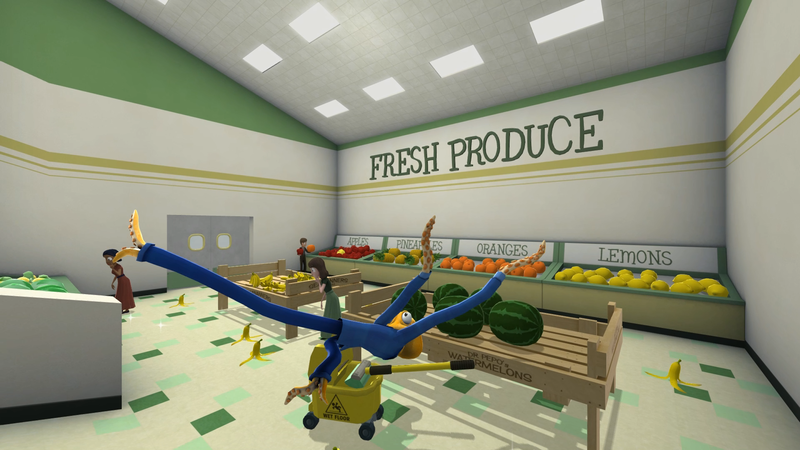 The intentionally awkward controls (made even crazier in co-op which assigns each player a limb/set of limbs) turn even a simple trip to the grocery store into an entertaining slapstick. 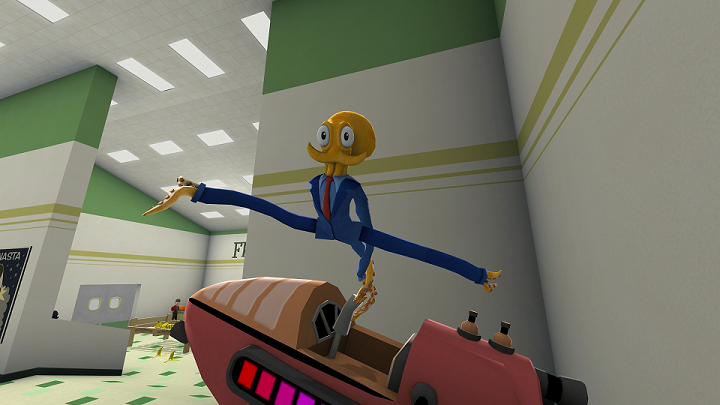 A great deal of the game’s charm comes from Octodad’s undeniable likability. Every interaction with his family shows a genuine love that lends the admittedly silly storyline some surprising emotional weight. However, this story only lasts around two hours. I was able to finish Octodad in one hour and forty-five minutes, even when taking time to look for collectible neckties and goof around (PC players have access to user-created maps which can extend this period). However, I actually feel the length is perfect for this particular title. We’ve all seen that movie that goes on too long, or a certain character that overstays their welcome. This easily could have happened to Octodad if his antics were extended another 10-15 levels just to satisfy an arbitrary number of gameplay hours. Instead, we get a touching story, an endearing protagonist and a great deal of humor in a complete two-hour package. 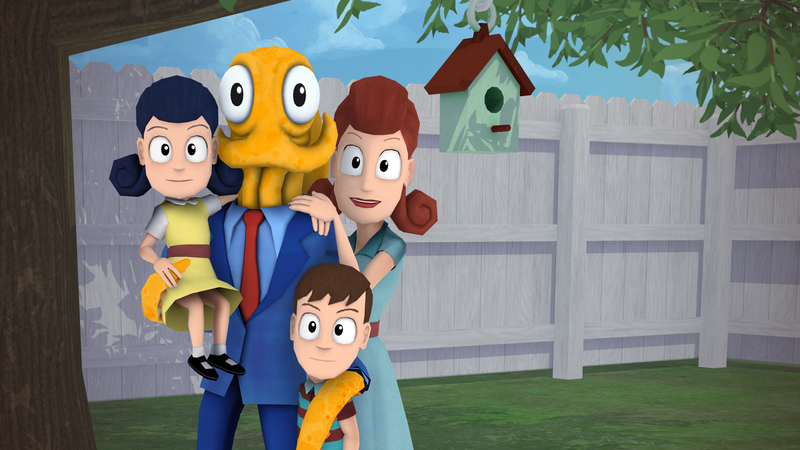 Octodad: Dadliest Catch is a heartwarming adventure which vastly improves upon the graphics, gameplay and humor of the original. …being a totally normal, completely human dad. 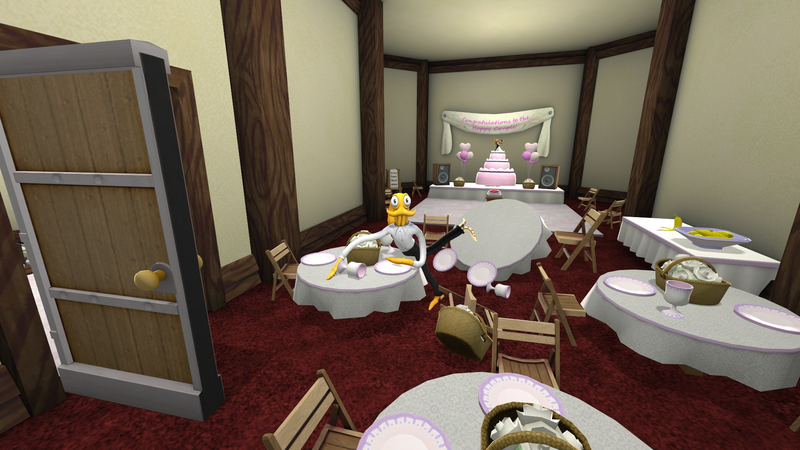 In the church where Octodad gets married, a piece of stained glass depicts a bow-tie wearing, haloed Cthulhu with outstretched arms. This entry was posted in Uncategorized and tagged Bible, christian, christian gaming, christian review, christianity, funny, gaming, God, humor, KJV, kjv bible, Octodad, Octodad: Dadliest Catch, review, salvation, slapstick, video game, video games, video games and the Bible, Video Games and the Bible Highlights, Video Games and the Bible Reviews, videogames, Young Horses. Bookmark the permalink.